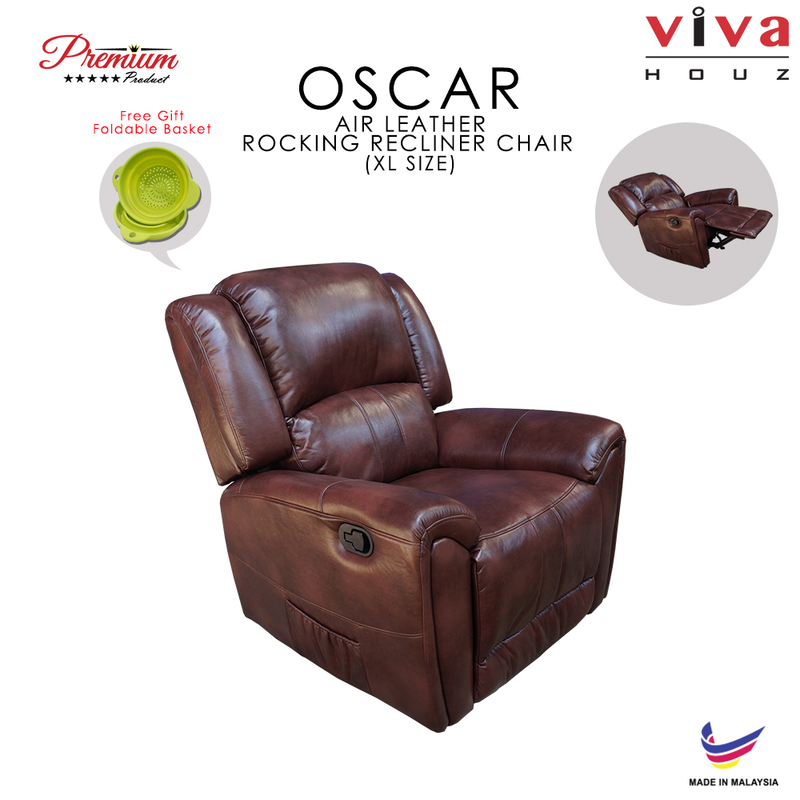 Viva Houz Oscar recliner chair / sofa is a beautifully designed leather fabric suite in a sumptuous super soft air leather finish. It has a sturdy frame with broad padded arm for that secured comfortable feel and support when the relax mode kicks in. 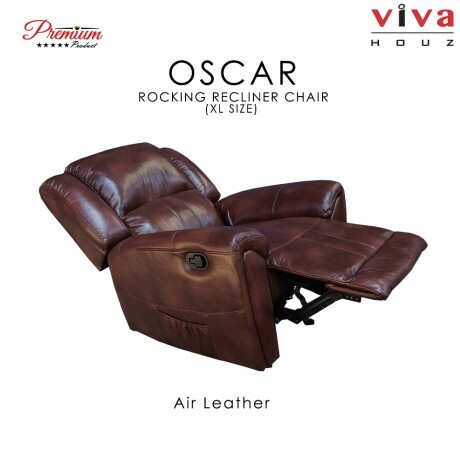 The Oscar recliner chair / sofa provide excellent comfort. 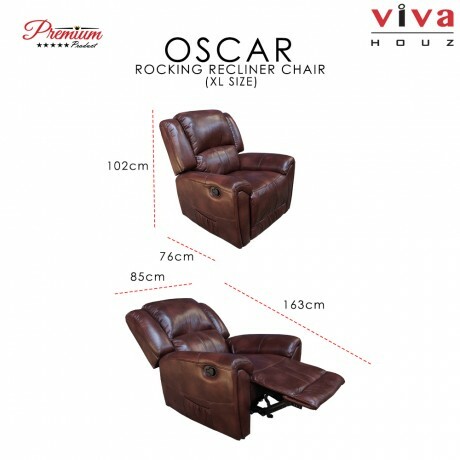 This Reclining furniture offers the best in relaxation for you to kick up your feet to watch TV, work on a laptop, or to just hang out with family and friends. 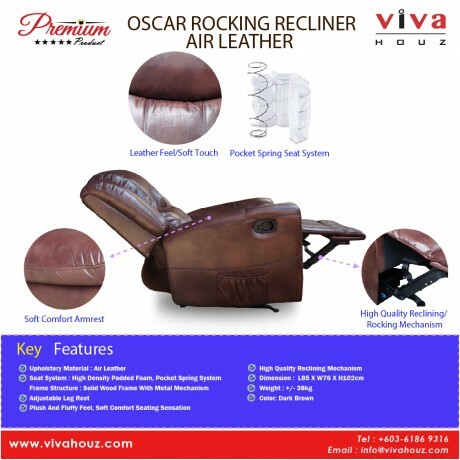 With an easy to reach external handle for operating the reclining mechanism. 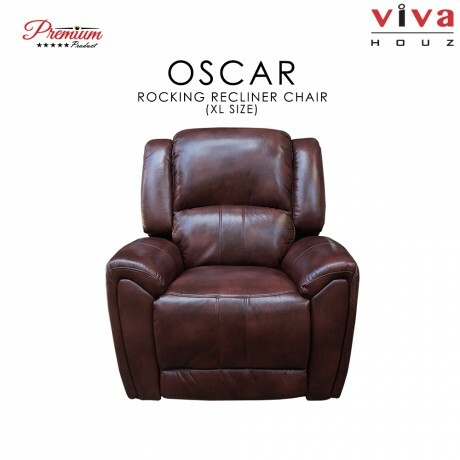 These Recliner provide good neck and lumbar support, making them the most popular seating choice for everyday use. If you’re on the market for a plush "Rocker recliner", you cannot go wrong with this very attractive contemporary piece. Air leather (Fabric) not only looks like leather, it has the feel, look and the "hand" of leather as well. Air Leather (Fabric) in term of "BREATHABLE" became a special finishing treatment allows air to flow through the coating. It is "Cool" and durable.